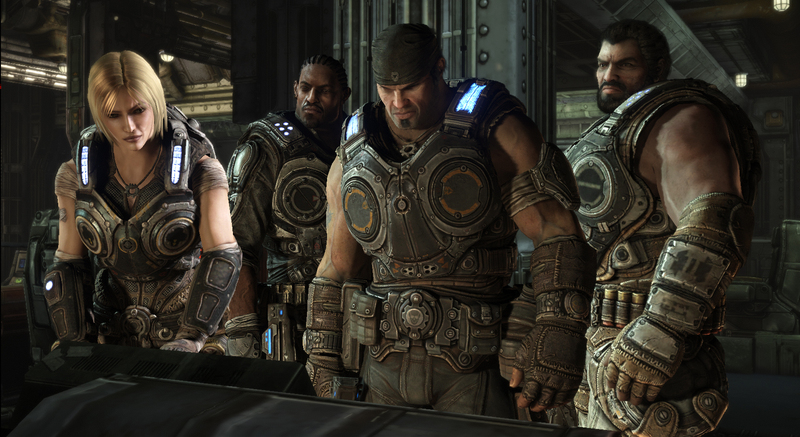 It's not all guns and blood in Gears of War 3; there are buckets with faces painted on them as well. 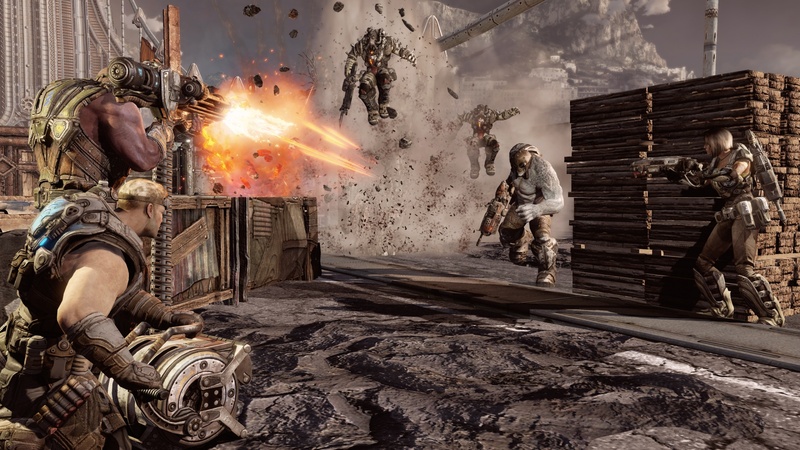 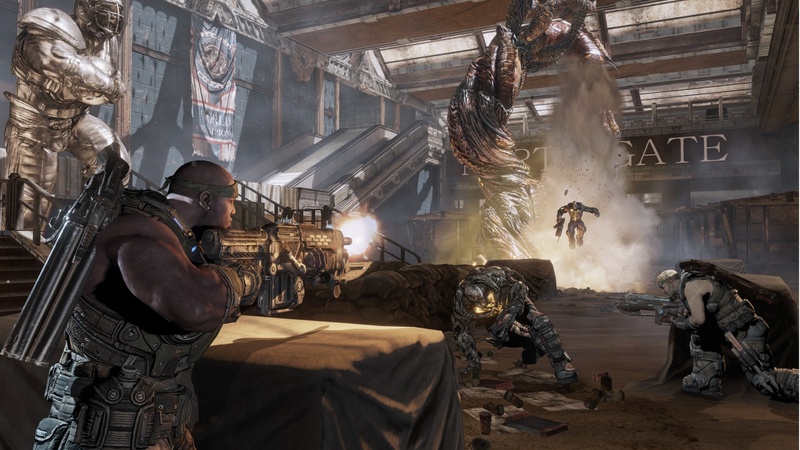 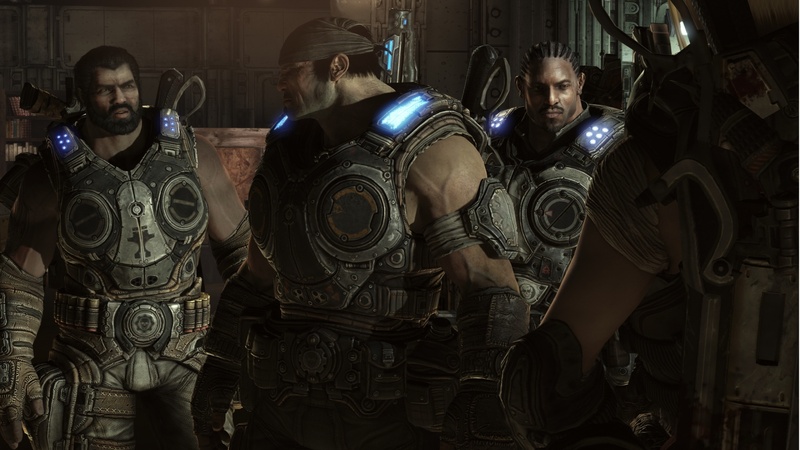 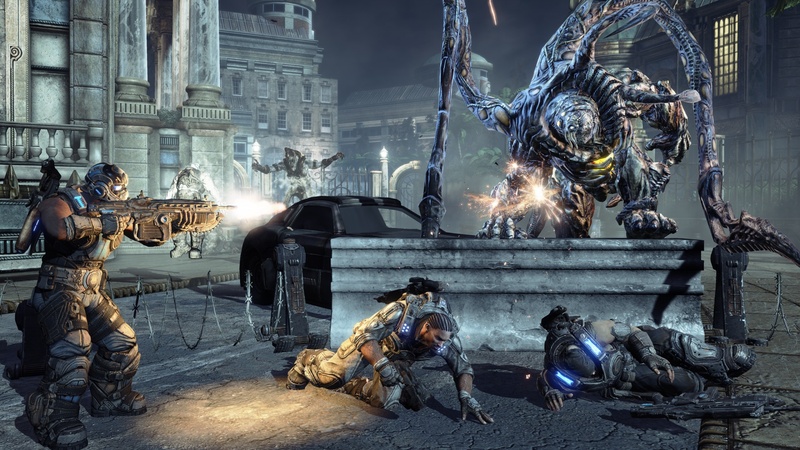 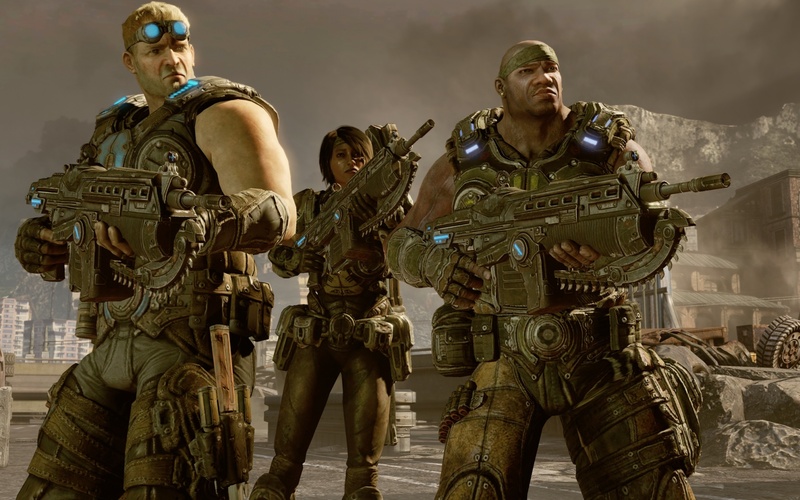 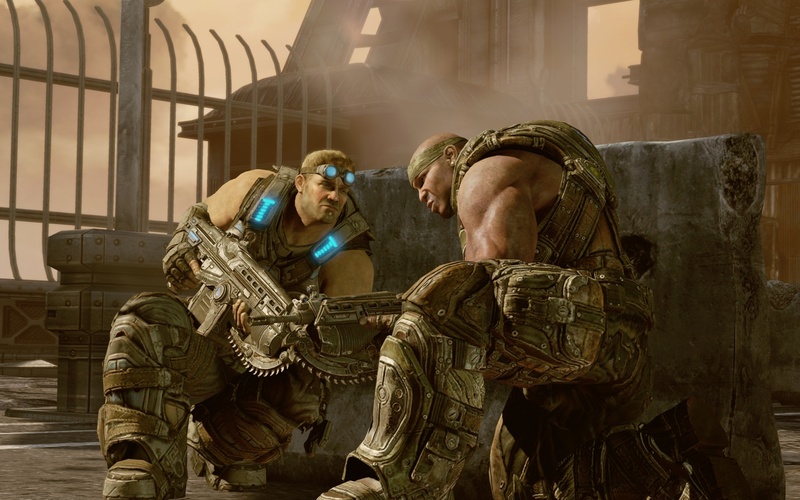 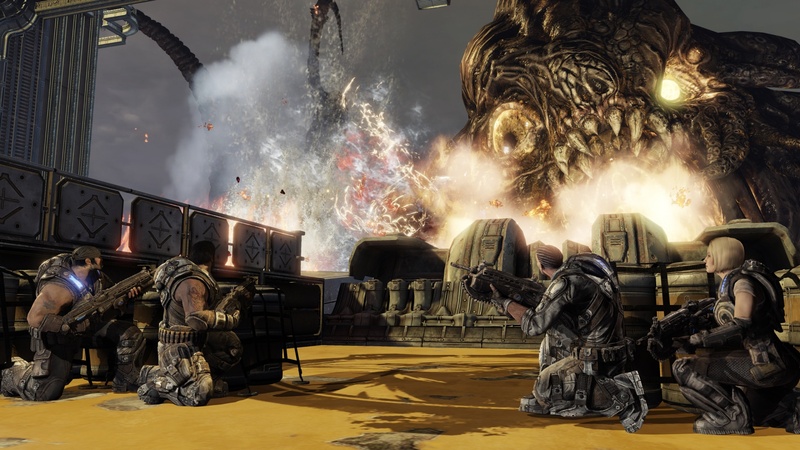 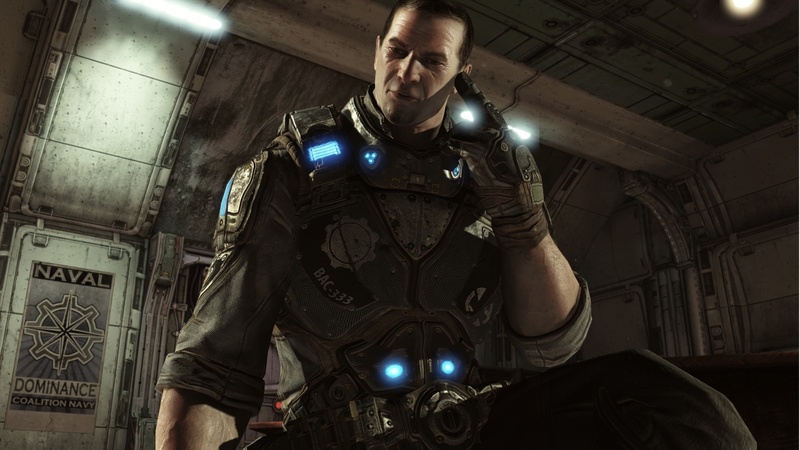 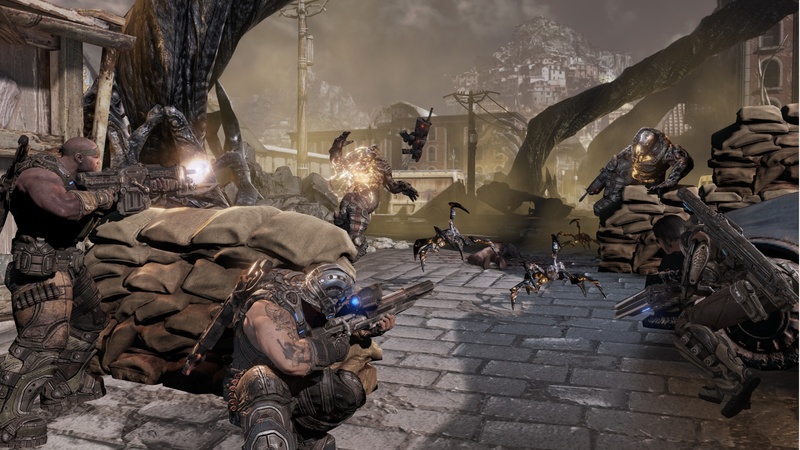 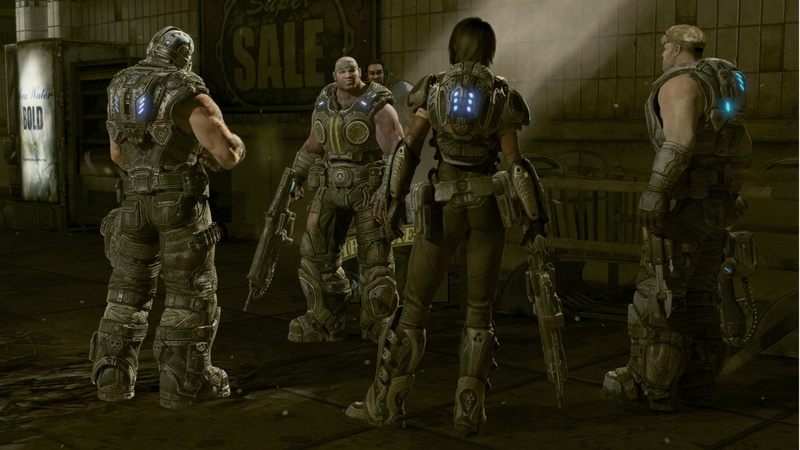 Microsoft and Epic Games are celebrating the imminent release of Gears of War 3 with a flurry of screenshots, both from the game's campaign and from its revamped Horde mode. 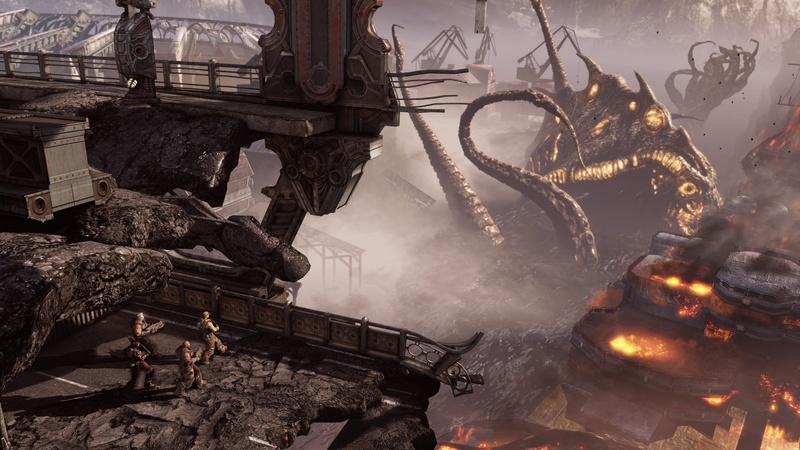 The campaign screenshots are an interesting mix of action shots, with Marcus, Dom, and the other COGS fighting against the Locust army, story shots, where the squad is talking amongst themselves, and shots of a giant octopus /tentacle monster thing that looks less than happy. 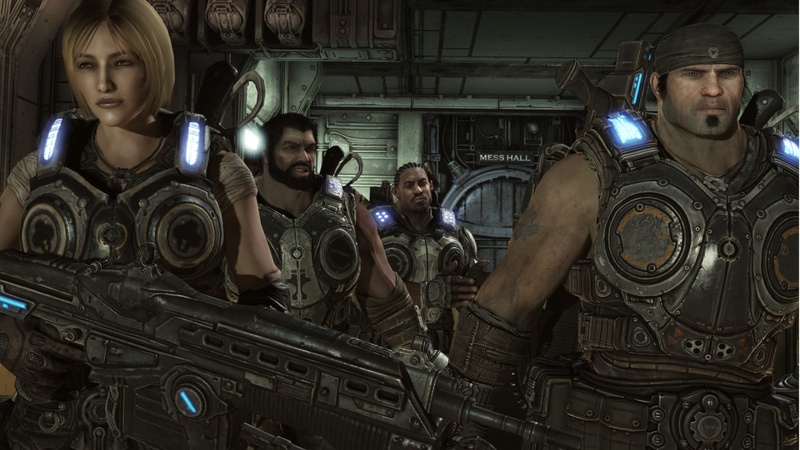 They also give fans a better look at the female characters in the game, who seem to fit in really well. 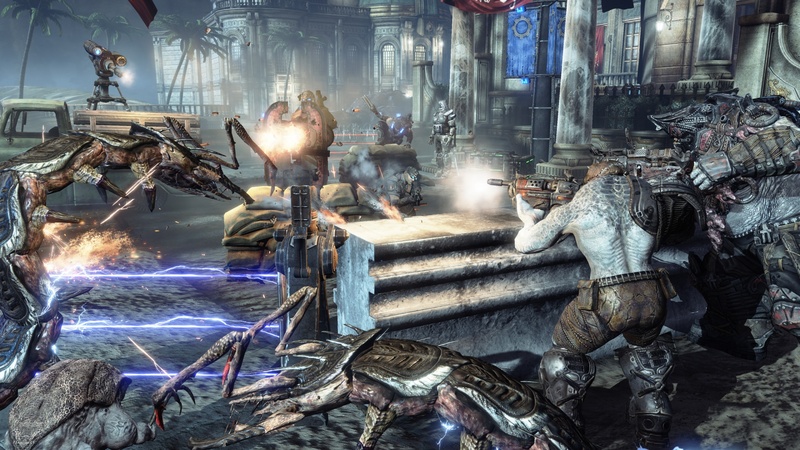 The Horde mode shots are sadly fewer in number, but there's still a lot of interesting thing to see. 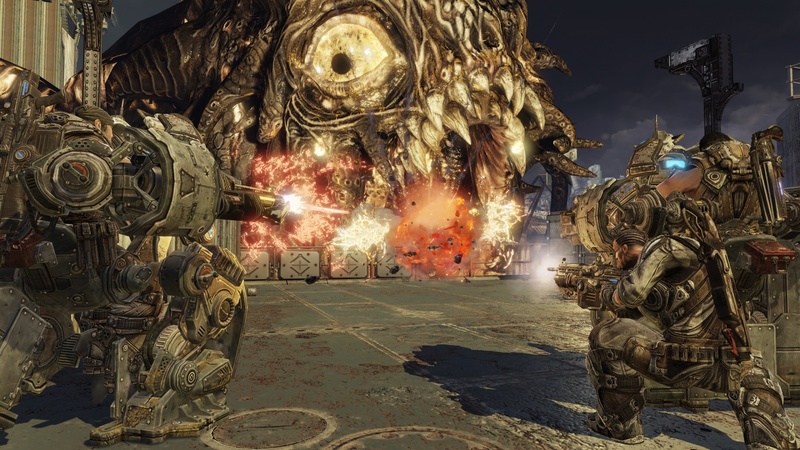 As well as the turrets - both manned and unmanned - and laser wire, there's nice little details like the decoy COGs, who have buckets for heads and what look like tape decks standing in for their voices. 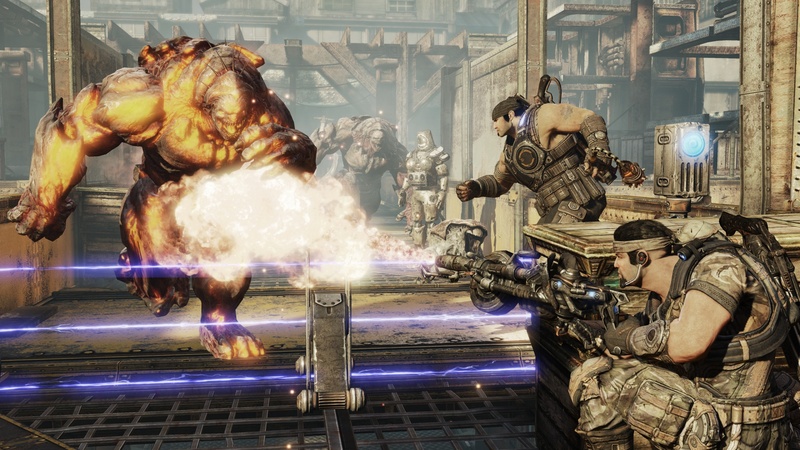 There's also a Brumak, which should be fun to fight. 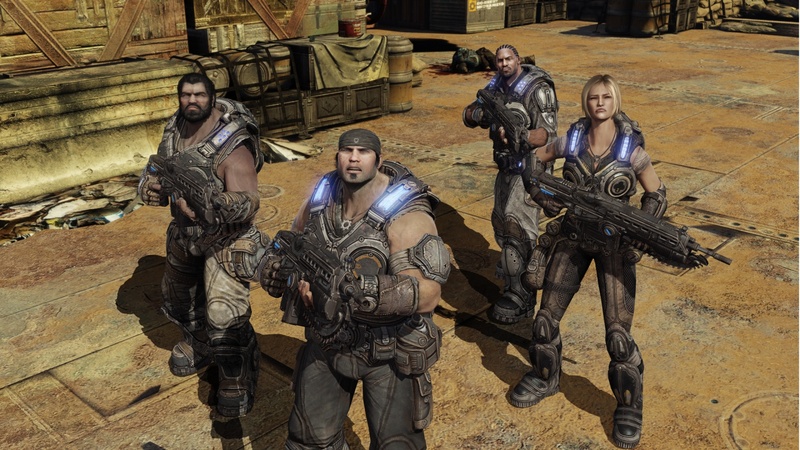 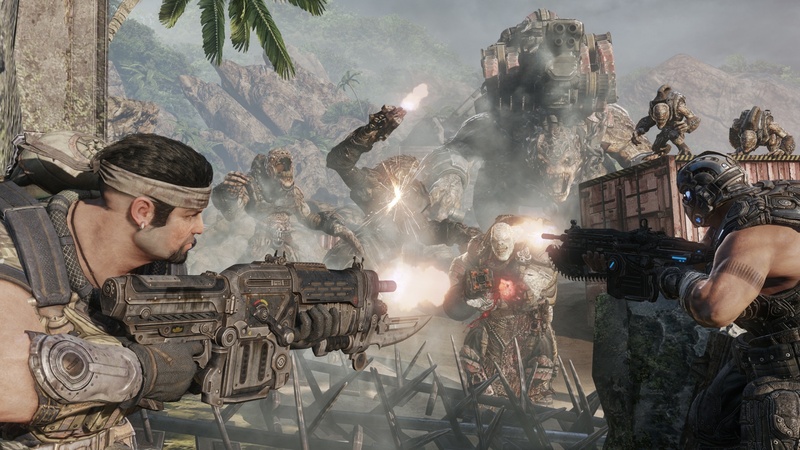 Gear of War 3 is shaping up like a pretty fun game. 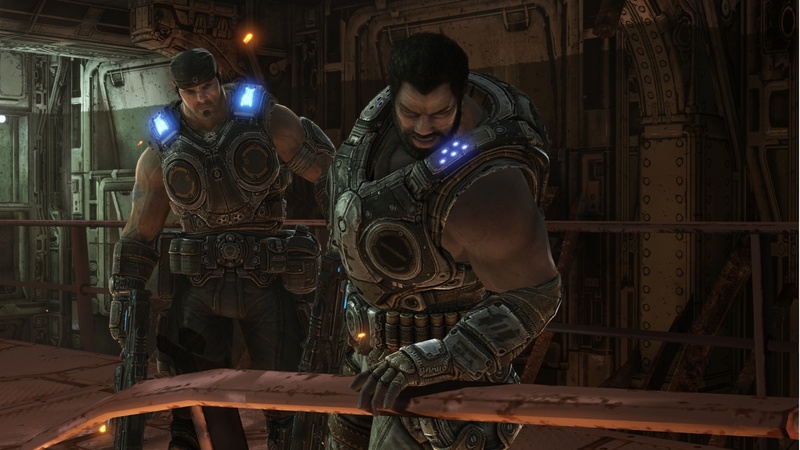 It comes out for Xbox 360 on September 20th.